Trying to teach your dog how to catch? Wondering why your dog just doesn’t get it? You’re not alone. Fetching and chasing down toys comes naturally to most dogs, but catching doesn’t. Not all dogs catch things naturally, and most dogs need some encouragement when it comes to learning how to catch. 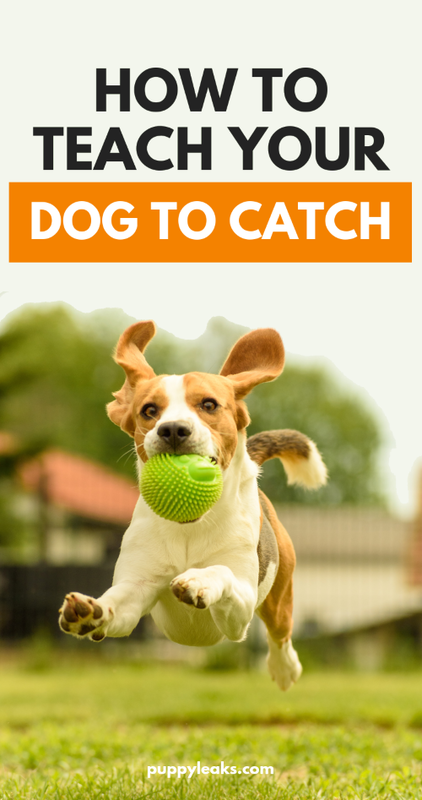 In this article I’ll show you how to teach your dog to catch with a few simple tips. Why Doesn’t My Dog Know How to Catch? 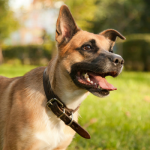 Many new dog owners are perplexed by their dogs inability to catch. “My new Lab puppy won’t catch toys, what’s wrong with him?” Trust me when I say that your dog isn’t alone. He’s not defective, and he’s not dense, it’s just something that doesn’t come natural to all dogs. I’ve had to teach every single one of my dogs to catch. What’s even more surprising is that some of the most famous ‘non catching’ dogs are Retrievers; the ones where fetching comes so naturally. Our Lab growing up wasn’t a natural catcher. We’d toss treats, popcorn, and tennis balls his way and he’d just let them land where they may, often bouncing right off of his face. Once they hit the ground he’d grab em, but he made no attempt to actively catch. Learning to catch can be difficult, and that’s especially for puppies. 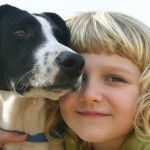 It’s not a behavior that just comes naturally to dogs, it’s often learned. And I guess I can’t really blame them, I mean unless it’s something yummy I don’t know that I’d reach out to catch something heavy in my mouth either. So keep that in mind when training your dog to catch; those heavy toys hurt when they land on your face, so start out small. But with that being said teaching your dog to catch is pretty easy. With a little bit of encouragement you can make any dog look like a natural. When you’re teaching your dog how to catch it’s important to start with a soft object. If your dog gets hit in the face with something hard it’s not only painful, it will probably discourage him from trying to catch again. Using treats or a soft toy are great for teaching dogs to catch. If your dog isn’t motivated to catch on his own you can try playing a game of puppy in the middle. If your dog doesn’t know how to catch you’ll want to start with something light & enticing. Start with small objects; don’t start by throwing a heavy toy at your dogs face. If he doesn’t catch the toy he’s just going to end up associating tossing with getting hit in the face with a heavy Kong. Starting with food is great because the object is it’s own reward. Grab some small dog treats and have your dog sit in front of you. Throw the treat up in the air towards your dog. If he doesn’t catch it pick it up so he can’t eat it. Eventually your dog will get frustrated that he’s not getting his treats and he’ll be more apt to try catching it before you take it back. After your confident in your dogs ability to catch you can introduce some lighter toys such as a tennis ball. If you have a puppy I’d recommend bouncing a tennis ball and encouraging them to catch that way; big toys can hurt a pup’s teeth. Your dog might not be the next Yogi Berra; but you can teach him a pretty decent catch. I prefer using treats when teaching a dog to catch. They’re lightweight so they won’t hurt your dog, and they’re enticing. Grabbing the treats before they have the chance to scoop them up will encourage them to figure out a way to get it first. 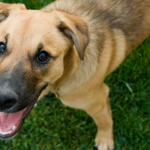 Most dogs will catch on pretty quickly and start attempting to catch. Reward them and encourage further catching by letting them know what an awesome job they did. If you don’t have any treats on hand you can make your own simple dog treats or use some fruits & veggies. To encourage your dog to catch start out with soft toys or treats. You remember monkey in the middle don’t you? How hard did you try to catch that darn toy when you were a child? Puppy in the middle is one of my favorite ways to encourage a reliable recall, and it’s one of the quickest ways to encourage a dog to catch. Grab a partner and pick up one of your dogs soft toys. Toss the toy back and forth with your dog in the middle, and make it look like the funnest game in the world. What dog can resist joining in when their family is having fun? Your dog will start to show interest and try to join in. 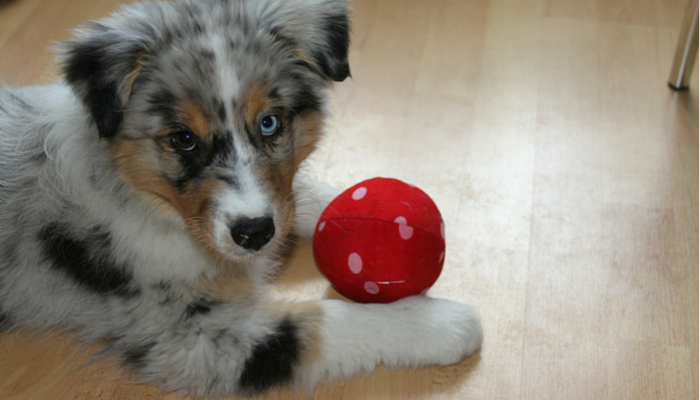 You can encourage catching by tossing the toy low enough for your dog to catch it easily. Now you have a dog that’s associating catching with fun, and you’ve got yourself a new game to play. Check out this short video of puppy in the middle in action. After your dog gets pretty good at catching you can try out a frisbee. 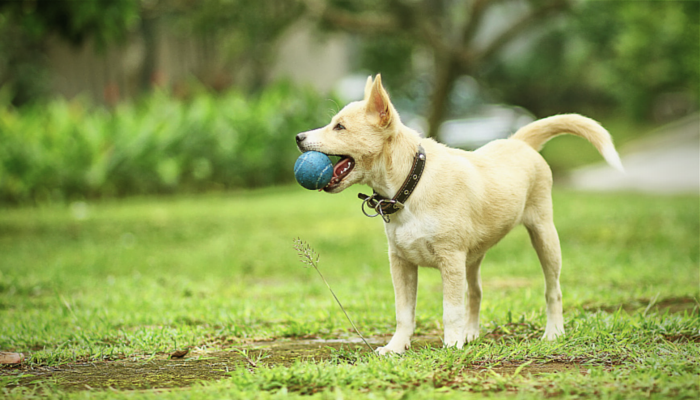 Playing a game of frisbee with your dog is a easy way to keep them active. We started with this soft Chuckit! disc because it’s soft and flexible, great for beginners. Looking for some more simple ways to play with your dog? Studies have shown that does that actively engage in play have fewer behavioral problems. Keep your dog mentally and physically stimulated by adding some more simple indoor games and activities to your routine. 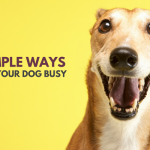 Not only will more active play keep your dog busy and tired, it’ll keep him out of trouble. How Did You Teach Your Dog to Catch? How did you dog learn to catch? Did you start with treats or play puppy in the middle? Or was your dog a natural? Laika was not a natural at all when it came to catching; I can’t tell you how many times I’d toss something her way and she’d just let it bounce right off. No natural instinct to either catch or duck. To get her interested in catching we played puppy in the middle; it’s amazing how quickly she caught on. « Is Your Dog a Jerk When You’re Sick? haha! My huskies NEVER used to be able to catch anything. Or maybe they just didn’t want to! Who knows, but either way, I worked on it and now they catch whatever I throw at them. Treats…snow….balls. Great tips. We don’t really teach our dogs to catch anything, but they usually pick it up over time. They would much rather retrieve so we usually do that instead. Haha, the video cracked me up! It reminded me of when I was pet sitting my parents two labs and I didn’t realize they didn’t know how to catch food or toys. I threw one of them a piece of turkey and it landed on her nose and she looked stunned and perplexed. By the end of the week, they were both great catchers! When Haley was a puppy she was pretty clumsy at catching too. Hilarious video… Our Papillion is just like that… Closes her eyes and let’s it bounce. Will be trying the suggestions. Thanks! My dog hasn’t caught on yet. I’m going to try puppy in the middle with him tonight!